Precision Auto sells quality, pre-owned vehicles. Bud and his son Andy hand-pick these vehicles and complete any necessary maintenance and repairs. All vehicles are offered Maryland Inspected and most are offered with a warranty. Stop by to see our current selection or call our office at (301) 917-2682. Our hours of operation are Monday-Friday 8:00am – 5:30pm and Saturday 9:00am – 3:00pm (every other Saturday, by appointment only). Every car we sell is personally hand picked by Bud & Andy. Most cars are one-owner vehicles. Many of our cars are purchased from our own auto service customers so we have service records on the vehicle. 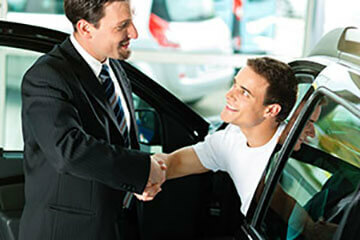 Every car has a “clean” CARFAX report which is furnished to the buyer. Unlike most purchasing agents, Bud & Andy have the mechanical knowledge and know what to look for when inspecting a vehicle. All vehicles are thoroughly checked over by our qualified technician. Every vehicle for sale on our lot has passed the Maryland State inspection. This inspection attests to the fact that the vehicle is in acceptable condition at the time of the sale according to Maryland’s Motor Vehicle Administration requirements. When you purchase a vehicle from us, the next oil change and 27-point courtesy check is free. We want to make sure the vehicle is performing well and everything is ok. Precision Auto now offers auto rentals at our site. That means you don’t need to be shuttled up the street, we have the cars right here on our lot. Our rentals can be reserved in advance so they are waiting for you.